Your vote will decide the next Aldermen of Wards 1 and 2 as well as the next Mayor of Oxford. Parking on the Square, alcohol sales, managing future growth, and tourism were cited at the recent community forum as the major issues of the campaign. Running for Alderman in Ward 1 are Jay Hughes and incumbent Ney Williams. In Ward 2, incumbent E.O. Oliver is being challenged by Robyn Tannehill. Click here for a PDF of Oxford’s Wards. Ward 1 of Oxford comprises most of the northern part of the city, including North Lamar, the north side of East Jackson Avenue, Sisk Avenue, Park Drive, Chickasaw, Price, most of Molly Barr Road, Highway 30, Highway 7, North 9th Street, East Elm Street, Sively, Vivian, Douglas, Williams, the area around Avent Park, Bramlett Boulevard, East Jefferson, as well as McElroy Drive, parts of College Hill Road, and Highway 314 (better known as Old Sardis Road). Ward 2 in Oxford consists of southeast part of town, including all of east South Lamar, all the way from the Square to Highway 7, as well as most of the areas inside the city around south Highway 7. Also included is the west and south parts of The Square, a section of south West Jackson Avenue, Van Buren Avenue, Tyler Avenue, South 5th Street, Harrison, Taylor, Pierce, Fillmore, Johnson, Beanland, Garfield, Ross, University Avenue, South 16th, South 18th, McLarty, Belk, Grand Oaks, Peyton Circle, Tanner Drive, Jefferson Davis, Coleman, Office Park Drive, and the areas around there. Ward 1 candidate Jay Hughes is a longtime Oxford resident, a husband, father, Attorney, property owner, businessman, and an Army Veteran. Hughes says he is running for alderman because he wants to give back to the community that has provided so much to him. He says that there are three things he would like to bring to the local government: 1) The ability to make a decision without pushing off to committees or commissions, 2) responsible growth, and 3) a better partnership between the City of Oxford, the Oxford School District, and Ole Miss. 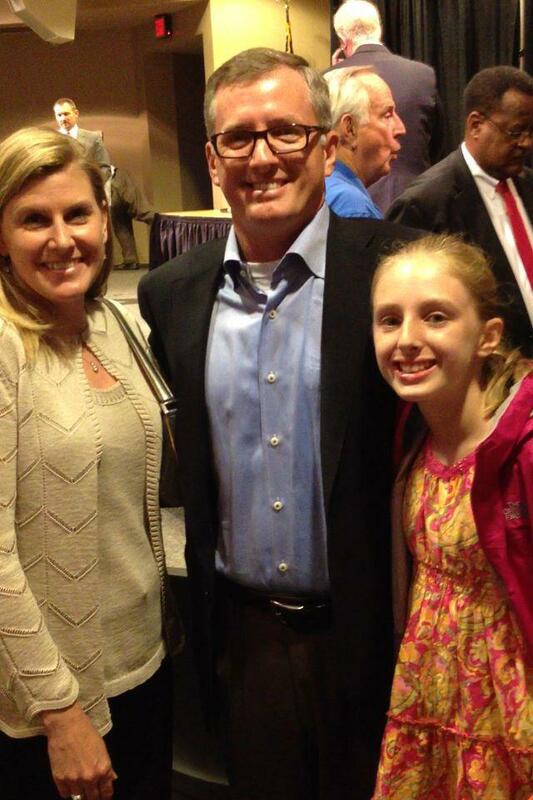 Ward 1 Alderman candidate Jay Hughes with his family. “The issue of the night!” proclaimed Jay Hughes, regarding alcohol. “It’s 2013 and I am genuinely amazed that we are still having this discussion,” which drew a round of applause and laughter from the forum audience. “It is legal to drink in Oxford. The Board has already decided it’s OK to drink on Sundays. If adults want to drink responsibly, it shouldn’t matter whether the Rebels played football the day before or not.” The forum audience cheered again. 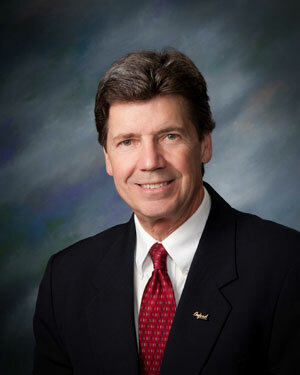 Current Ward 1 Alderman Ney Williams is running for reelection. Williams was first elected to the ward’s seat in city government four years ago, after the seat was vacated by Pat Patterson. Ney is a husband and father who attended Ole Miss on a tennis scholarship and received his Bachelor of Arts in Education. Williams worked for several members of the United States Congress for 27 years in Washington, D.C. before returning to Oxford. Williams says he is a full-time, 24-7 Alderman who is fiscally responsible, has worked to maintain Oxford’s infrastructure, streets, sidewalks, bike paths, sewer, water, recycling, and vital city services. Ward 1 Aldermand Ney Williams, who is running for reelection. Ward 2 incumbent Alderman E.O. Oliver is a fourth generation Oxfordian, and graduate of the city schools and Ole Miss. 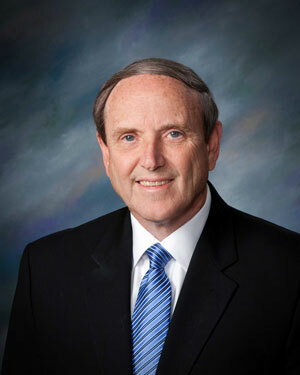 Oliver has been a resident of Oxford for over fifty years and has been Alderman of Ward 2 for the last sixteen years. Oliver was a director of the Ole Miss Bookstore, an owner of the Oliver-Britt House Bed & Breakfast, and is currently an accountant and auditor at North Mississippi Regional Center. Ward 2 Alderman E.O. Oliver, who is running for reelection. Ward 2 challenger Robyn Tannehill came to Oxford in 1988 as a student and “never left.” Tannehill has worked in many different capacities in Oxford, including being a University employee, Assistant Director of the Chamber of Commerce, a City employee, and Executive Director of the Oxford Tourism Council, where she helped to create and facilitate the first Double Decker Arts Festival in 1995. 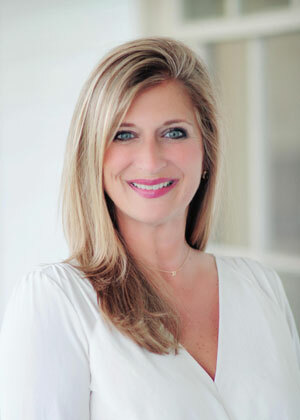 Tannehill is a founding member of a church and a business in Oxford, the Tannehill Agency, a full service marketing and public relations firm that she later sold. Robyn was also named “Mississippi Businesswoman of the Year.” She is a mother of three and married to attorney Rhea Tannehill. Ward 2 Alderman candidate Robyn Tannehill. “Sunday Sales means more restaurants open, giving visitors and residents more options,” Tannehill continued. “I believe that if the restaurants are consistently open, we’ll see more shops opening on Sunday as well. As an Alderman of Ward 2, I want to protect all of the interests of citizens, families, retirees, and business owners. But ultimately for Oxford, I come down on the side of Sunday Sales. I believe at the end of the day people make their own decision whether or not to have a drink on Sunday. I think from an economic perspective, it is the next step in a positive direction for Oxford. And I also believe in ‘cold beer.’” Tannehill’s statement drew applause from the forum audience. Local elections for the City of Oxford will take place on Tuesday, June 4, 2013 from 7 am to 7 pm at the Oxford Conference Center on Sisk Avenue. All citizens who are registered to vote in the city limits of Oxford may cast a ballot for Mayor. Only those who are registered in Wards 1 and 2 will be able to cast a ballot for Aldermen running in these wards.